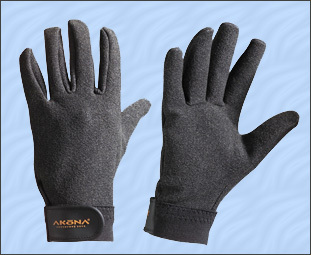 The AKNG134K ArmorTex Glove from Akona is a 3.5mm nylon II neoprene is glue and blind stitched for a durable, water resistant finish. The ergonomic, pre-bent fingers offer comfort and allow for minimal water transfer. 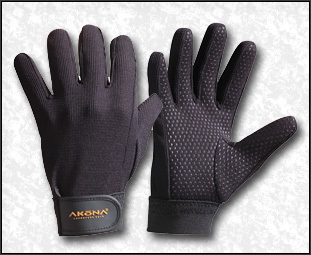 The AKONA ArmorTex palm is woven for phenomenal flexibility and outstanding puncture resistance. 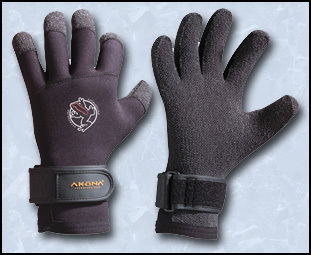 A 1 Â½â€� wide Velcro closure wrist strap provides maximum adjustment. 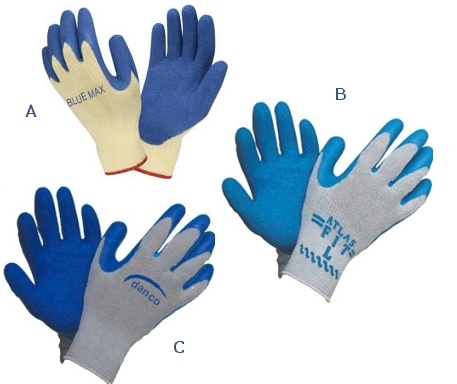 This glove excels in the tropical environment where minimal protection is necessary. Outstanding grip and comfort is afforded by the combination of quality materials and snug fit. Palm contains a durable screened PU dot pattern material for tacky grip on any object, wet or dry. 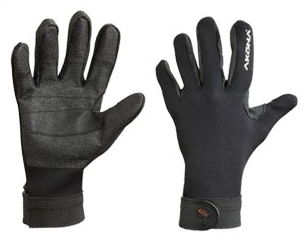 This glove features a textured, quick drying back. 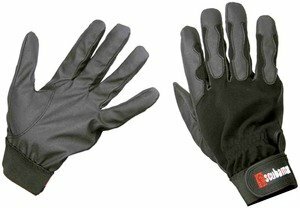 Constructed completely of premium ArmorTex, this glove offers unparelled protection. Works great as an over-glove for cold lobster dives. 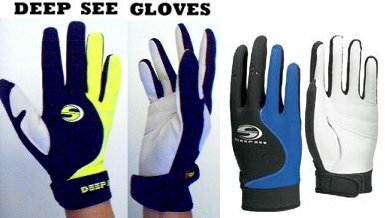 The Sport Glove from Deep See is made of 2mm nylon II neoprene with 4-way stretch spandex fabric, synthetic suede palm reinforced for protection and durability, and adjustable velcro tabs at underside of wrist. The TOUGHEST diving glove available. Full 5-finger 2 mm neoprene with reinforced amarra palm with double stitched gripped reinforcements. Design by HammerHead Spearguns for exceptional durability and dexterity with a large batter's glove style velcro enclosure keeping the glove tight. All black amarra palm and gripped reinforcements evolves you into the ultimate underwater predator. Available in Deep Reef Camo (green). True to fit sizing available in S, M, L, XL, and XXL.